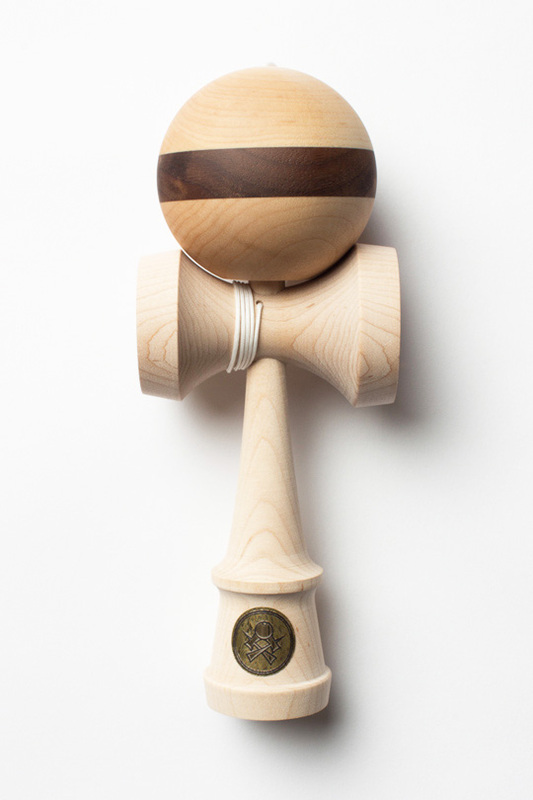 This Homegrown kendama made of maple and walnut wood in USA. Kendama is painted in-house and features our new Cushion Clear finish. We developed Cushion Clear to play like a “broken in” Kendama right out of the box. The grippy, matte finish softens impact and increases control on balance tricks. Best of all – Cushion Clear keeps its superior playability throughout its lifespan. Every complete Homegrown Kendama comes boxed with an HG Grain Print Bandana, HG Stickers, and an extra string and bead.